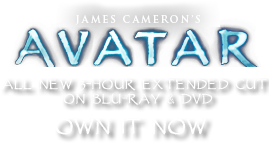 ISV Venture Star | Pandorapedia: The Official Guide to Pandora | Own AVATAR on Blu-ray & DVD Now! The Venture Star is the ninth ship of its class brought into service, and has made one round trip to the Alpha Centauri System. It is currently outbound on its second voyage, due to arrive there in 2154. When the first voyage to the Alpha Centauri system was envisioned, engineers knew that a conventional rocket was hopelessly inadequate. Even the fusion powered rockets used within Earth’s solar system could not generate the thrust needed to achieve “relativistic” speeds (some large fraction of the speed of light). Since any starship capable of supporting interstellar commerce on reasonable time scales needed to travel at relativistic speeds, its rocket exhaust velocity, too, had to be near lightspeed to create sufficient thrust. This eliminated chemically powered rocket engines, nuclear thermal engines, plasma engines and fusion engines (despite their long history of successful missions amongst the planets of our solar system in the 21st and early 22nd centuries). Talk of “wormholes” and “warp drives” captured the imagination of twentieth-century sci-fi fans, but no such methods have come to fruition. For now, engineers must rely upon techniques that exploit our current understanding of physics. Visionaries set their sights on the potential for matter-antimatter reactions. The enormous energy released in the annihilation of matter and antimatter is the only known means of creating the kind of propulsion needed for interstellar travel. The first interstellar ship was over four kilometers long, because of the massive refrigeration system required to maintain the conventional low-temperature superconducting magnets that produced the containment field for the matter-antimatter reaction. It was not until the discovery of the high-temperature superconductor unobtanium on Pandora that interstellar travel and commerce became commercially viable. The Capital Star Class ISV was developed using this technology and is one-quarter the size of that first ship, and many times more efficient. The ISV Venture Star can carry a large payload of cargo and passengers to establish commercial and scientific outposts on alien worlds. 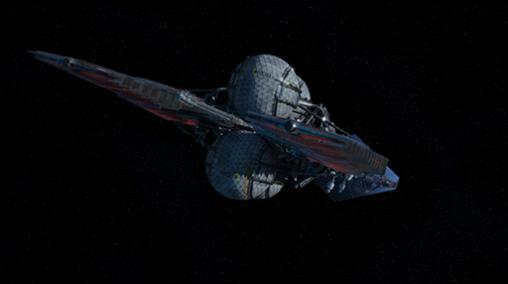 The ship's current mission is the exploitation of indigenous resources on Pandora, and is one of twelve ISVs that travel between Earth and Pandora on a continuing basis. Length = 1,502.4 meters; Width = 302.25 meters; Height = 218.3 meters. 4.4 light-years. This range is set by onboard fuel supply and its containment system, and the life-support consumables, and the infrastructure needed to contain them. Because each gram of mass must be accelerated and decelerated (as well as the onboard fuel to accomplish this), every possible weight-saving measure has been taken. The ship carries only enough fuel for the planned mission profile, and a minimal amount of additional maneuvering. There are only enough supplies for the minimum crew needed to remain out of cryosleep. Air, water, and food must be replenished at Pandora, and the ship refueled there with locally-manufactured anti-matter and hydrogen and deuterium harvested from Polyphemus. 210,000 kilometers per second (70% of lightspeed, or 0.7 c). 0.46 year initial acceleration @ 1.5 g to reach 0.7 c; 5.83 years cruise @ 0.7 c; 0.46 year deceleration; 1 year loiter in orbit around Pandora; 0.46 year acceleration @ 1.5 g to 0.7 c for return trip; 5.83 years cruise; 0.46 year final deceleration @ 1.5 g to go into orbit around Earth. 6.75 + 1.0 + 6.75 = 14.5 Earth years. However, relativistic effects shorten the time onboard ship to slightly less than 6 years each way. Hybrid deuterium fusion / matter-antimatter annihilation. Propulsion: Two hybrid fusion/matter-antimatter engines. One photon sail. One fusion PME (Planetary Maneuvering Engine.) Beamed photon power from Earth for outward acceleration phase; ship’s hybrid fusion / matter-antimatter power for deceleration phase on approach to Pandora. Sequence reversed for return to Earth. Two, arranged symmetrically in a tractor configuration. They are angled outward a few degrees off the ship’s longitudinal axis so their exhaust plumes bypass the ship’s structure. This results in a slight cosine loss to thrust efficiency, and the body of the ship must be shielded from the plume’s thermal radiation, but the mass-savings advantage of a tensile structure outweigh these disadvantages. Since a very long truss is needed to separate the habitable section of the ship from the engines which produce large amounts of radiation, such a structure would be prohibitively massive if it were a conventional space-frame truss designed for compressive loading. But the carbon-nanotube composite tensile-truss creates the necessary stand-off distance at one tenth the mass. Essentially it is a tow cable with enough torsional rigidity to allow the ship to maneuver, including the pitch-over maneuver which must be performed to turn 180 degrees for the deceleration burn when inbound to Pandora. A matter-antimatter reaction causes the total conversion of matter into energy, as per Einstein’s famous formula of E = mc2. The antimatter (in this case anti-hydrogen) is contained by a magnetic field in a near-perfect vacuum in which it circulates as a high density cloud of atoms cooled to near-absolute-zero temperature. When antimatter and matter (normal hydrogen) are brought together, they mutually annihilate and produce an enormous amount of energy, which must be directed by an ultra-powerful magnetic field to form the exhaust plume. These photons of energy, although massless, possess momentum, and their ejection provides the thrust to accelerate the ship. Additional thrust is obtained by injecting hydrogen atoms into the plasma before it leaves the engines. The exhaust flare is an incandescent plasma a million times brighter than a welding arc, and over thirty kilometers long. The plume is considered to be one of the most spectacular man-made sights in history. 1. Engines, propellant tanks, and radiators. The propellant tanks are spheres insulated for zero boil-off of the cryogenic hydrogen propellant. The radiators dissipate the heat of the engine section. After a deccel or accel burn phase, the radiators will glow red hot for 2 weeks. 2. The tensile-truss that transfers the thrust of the two engines to the rest of the ship. Although thin, it is rigid enough to prevent the payload section from fishtailing caused by buildup of resonant frequency vibrations during acceleration and deceleration. The section of the truss adjacent to the antimatter engine nozzles is protected by a thermal shield of nearly perfect reflecting materials, to guard against the intense heat radiated from the exhaust plumes. 3. Cargo containers, arranged in four ranks of four modules each. The 16 modules are in turn composed of 6 cargo pods. Depending on the cargo bay configuration of the shuttle, it can hold the contents of two pods and 100 passengers in jump seats, or up to the contents of six pods and no passengers. A mobile transporter running on tracks can position a large robotic arm for transfer of the cargo modules to and from the trans-atmospheric shuttles. 4. Two Valkyrie TAV’s (trans-atmospheric vehicles) docked to access tunnels. The tunnels connect to a pressurized tunnel that runs through the truss, and connects to the habitation section. 5. The habitation section consists of three large modules containing the cryovaults and amnio tanks. Inside each module is an open frame structure of advanced composites, with non-load bearing walls made of foam composite. There is almost no metal used in the structure. This is to prevent galactic cosmic radiation from striking metal and producing secondary radiation particles. There are a number of airlocks for the crew, and portals for repair bots that look like high-tech mechanical crabs. 6. Immediately behind these three modules are the two on-duty crew modules, located at the opposite ends of a transverse truss. A pressurized tunnel runs through the truss, connecting the two units. During cruise mode, these modules can be rotated to create an artificial gravity for the on-duty crew. During accel and deccel phases, the modules fold along the longitudinal axis of the ship. In this configuration, the gravity is created by the acceleration of the ship (so all floors and walls are still correctly oriented to the gravity vector). The modules also provide centrifugal artificial gravity during the ISV’s one year loiter on orbit at Pandora. 7. At the far end of the structure is the mirror shield, which protects the ship from the intense light of the beamed-power laser from Earth. This mirror is only a few molecules thick, but reflects light efficiently enough to prevent incineration of the habitable section of the starship. When acceleration is completed, the ship is rotated 180 degrees so that the mirror shield faces forward. Now the shield performs another role, acting as a multi-layer interstellar debris shield. Although intense magnetic fields are used to deflect stray gas molecules, the occasional dust grain requires a physical barrier. The shield is in multiple layers, spaced one hundred meters apart. Impact of a debris grain (traveling at a relative speed of 0.7C) with the first layer of the shield causes vaporization into a plasma. The spray of plasma particles strikes the second layer, and the impacts cause spalling from the back of the second layer. These particles are stopped by the third layer. A fourth layer acts as a backup in the unlikely event that something gets past the third layer. Once cruise speed is reached, this shield is detached and moved by small thrusters thousands of miles in front of the ship, to improve survivability if a larger particle of debris is encountered. The largest component of the ship is not located on the primary structure. It is the “sail” which receives the beam of photons and extracts the momentum to accelerate or decelerate the ship. It is a shallow bowl 16 kilometers in diameter and stabilized by rotation. The material of the sail is incredibly thin, being only a few dozen molecules thick in most places. Its basic structure is a fabric woven from carbon nanotube thread, and coated with a refractory ceramic that fills in the interstices. The working side of the sail is further coated with a vacuum-deposited multi-layer diachronic reflector, which is 99.99999% efficient. What little heating of the sail that occurs is dissipated by radiation from its back side. Carbon nanotube cables connect it to the main body of the ship, and these cables also have a diachronic coating which reflects 99.99999% of the beam energy that strikes them, and prevents the cables from instantly vaporizing. When not in use, the sail is folded along molecular hinge lines, and occupies a surprisingly small volume. It is stored in the cargo area when not in use, along with the spools of connecting cables. Rigging and removal of the sail is done autonomously by the service bots, but can be done manually in an emergency by awakening the other two crew teams. 1. Three-axis triangulation from reference stars during cruse phase. 2. Radar ranging when in proximity to planets and satellites. 3. Synthetic-aperture side-looking radar for surface mapping purposes. 1. Modulation of beamed power by ±0.1% for high bit-rate uplink during acceleration and deceleration phases. 3. Standard VHF/UHF radio for short-range communication between orbit and ground. Very low bit-rate up- and downlink using McKinney quantum entanglement encoding. All consumables are recycled to the maximum extent possible. Oxygen is reclaimed from carbon dioxide by fractional distillation of the ship’s atmosphere, which also removes all gaseous contaminants. Additionally, this process removes water vapor and purifies it for drinking. Steam distillation is used to reclaim more drinking water from urine and solid body waste. The dehydrated and sterilized remains are used as fertilizer in the hydroponic gardens where fresh fruits and vegetable are grown to supplement the crew’s diet of freeze-dried and irradiated food. The individual passenger compartments are equipped to freeze their occupants solid and maintain them at a very low temperature until the end of the voyage, when they are gradually re-warmed and thawed out. The problem of irreparable cell damage caused by the formation of intra-cellular ice crystals that stymied 20th Century life-extension attempts was solved by using low doses of microwave radiation to jostle the water molecules as the temperature drops, and completely prevents the formation of any ice crystals. The failure rate of this process is less than 1%, and passengers and their heirs release the RDA for any liability as a condition of their employment. The ship’s functioning is largely automated, using triply-redundant, radiation-hardened computers, but emergency manual control is provided for all functions. The minimal crew is cross-trained in all specialties. There are three crew teams of five each, who serve for 20-month tours, and are in cryosleep for the balance of the voyage. This seeming waste of mass was necessitated by the experience of mid- 21st Century space missions when crew members proved psychologically unstable after two years in close confinement. There are two main functions of the human crew: monitoring the power and propulsion systems, and supervising the developing avatars. Humans have the ability to notice anomalies too subtle for the automated monitors, in spite of these systems’ tremendous sophistication. In addition to the 15 flight crew there are 10 medical crew in cryosleep, who are awakened before the rest of the passengers to assist with their recovery from suspension. The passengers are placed in cryosleep so that they do not require any air, water, or food for the duration of the journey. Typical outbound passengers are replacements for RDA personnel, troopers, and avatar operators. Inbound passengers are limited to those who have finished their tour of duty. Unfortunately, the cost of shipping back personnel precludes returning individuals still under contract who have medical problems that cannot be treated on Pandora, so they are euthanized there. The only exception to this policy is for high-level RDA executives. 2. Micro-miniaturized components like mirco- and nanoprocessors and other circuitry elements that cannot be manufactured on Pandora. 3. Data modules. Currently, photochromic glass holographic data-storage cubes are used, each one-centimeter cube containing 100 Petabytes of triply-error-corrected data. Typical imported data includes the specifications for equipment to be manufactured on Pandora. 4. Two Valkyrie shuttlecraft for transfer of personnel and cargo between the orbiting ISV and the surface of Pandora. These vessels are left at Pandora, to replace those from previous missions that have exceeded their design life as manned vehicles. The replaced craft are re-purposed to serve as automated gas harvesters, skimming through Polyphemus’s upper atmosphere to obtain hydrogen and deuterium for refueling the ISV. 5. Developing avatars in amnio tanks. 6. Drugs and other medications that cannot be produced locally. 1. Refined unobtanium. This is the ISV’s raison d’etre. It takes precedence over all other items, including returning employees if there is no available mass capacity. 2. Data modules as described above. Typical exported data includes the molecular structure of Pandoran organic compounds that may have medical or other applications on Earth. The data will be used to synthesize them for testing and eventual sale. 3. Small Na’vi artifacts to be sold as collectables to wealthy individuals for extremely high prices. The Venture Star is a vast collection of complex interlocking technologies built to travel from one star system to another in the shortest time without killing the crew and damaging the cargo. At the incredible speed it travels, the ship could be destroyed by colliding with debris larger than a grain of sand. Although statistically rare given the emptiness of space, it is believed that a collision over the life of the ship is possible. Another danger is radiation generated by impacts of smaller particles with the debris shield. These gamma rays result from the incredible speed (0.7 c) of the particle with respect to the ship. If the ship should happen to encounter a high concentration of dust grains, the on-duty crew could receive a lethal dose. Since individuals in cryosleep are more resistant to radiation damage, in such an event automated sensors would awaken one of the other crew teams from cryosleep after the radiation level decreased. Function Interstellar vehicle (ISV) designed to transport personnel, supplies, and equipment between Earth and Pandora, and to return personnel and refined unobtanium from Pandora to Earth. Official Name Interstellar Vehicle ISV Venture Star. Manufacturer Consortium of aerospace contractors under control of RDA.